There is no secret that earning a business analyst certification is exciting and time-consuming, and I am often asked by my peers about what got me interested and why I think this kind of continuous learning is worth my time. As a business analyst, the following aspects came to my mind. In today’s complex industry environment, an organization’s adaptability, agility, and ability to manage continuous change through innovation would be the keys to success. Conventional methods may no longer lead to the achievement of objectives when market conditions are not favorable. That’s where business analysis comes in. Organizations achieve goals through projects that transform customer needs into new products and services to create profits. Business analysts can help organization to achieve its goals and objectives more efficiently and effectively. 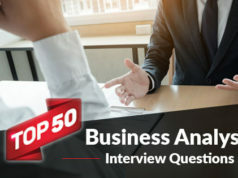 The business analyst’s primary objective is to recommend solutions and help the organization to implement technology solutions in a cost-effective way by defining the requirements of a project or program, and communicating them clearly. As we explore the business analyst roles and responsibilities, we understand that a business analyst wears multiple hats. From being an excellent communicator and data analyst to possessing project management and technical skills, business analysts regularly use a variety of tools and techniques. They act as the bridge between different departments of the organization at every step of development. Works with the business to identify business strengths, weaknesses, opportunities, threats, and areas for improvement in business operations and processes. Helps organizations to define the business case. Interacts with the business stakeholders, subject matter experts and end users to understand their problems and needs. Gathers, documents, and analyzes business needs and requirements. Recommends solutions to business problems and designs technical solutions. Documents the functional and sometime, technical design of the system. Interacts with technical architects and developers to ensure the system is properly implemented. Evaluates the solution post implementation to assess the performance and delivered value of the system. At the start of the career, business analysts need to have either a strong business background or extensive IT knowledge. This provides the business analyst with job responsibilities that include gathering, analyzing, communicating and documenting requirements, user-testing and so on. Entry-level roles may include industry/domain expert, developer, and/or quality assurance. Within a few years, they could choose to become a Subject Matter Expert (SME). This is the time to explore into the areas that interest them the most and develop those areas that can help their progress into higher management positions. 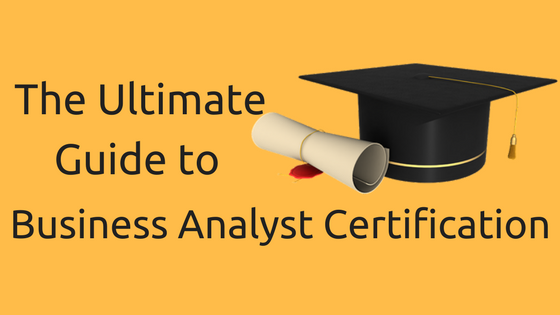 Business analysts who want to enhance their expertise and expand their career opportunities achieve industry-recognized certifications. The leaders in business analysyt certifications are International Institute of Business Analysis (IIBA®) and Project Management Institute (PMI). 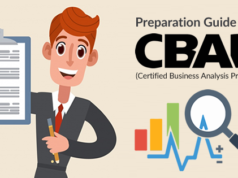 IIBA offers the prestigious Certified Business Analysis Professional™ (CBAP®), a designation accomplished by candidates who successfully demonstrate their business analysis expertise. 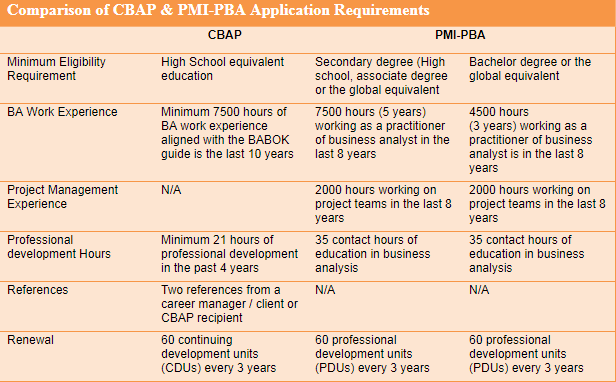 PMI offers PMI-PBA certification which recognizes an individual’s expertise in business analyst. This examination measures and evaluates the specific knowledge of a candidate to function as a business analyst professional. There are many benefits for us for doing this certification. To help us get started, here is some valuable information about this exam. The CBAP exam is a collection of 120 multiple-choice questions. Some are simple and straightforward, some are difficult, and most are challenging. The exam duration is over three hours, and you may find that you need the most or all of that time. Because of the length of the exam, some people find it useful to start the exam by noting a few keywords and definitions. The CBAP exam is heavily based on the BABOK guide. There are some questions not strictly found in it, but comprehensively knowing the information in the BABOK guide is the guaranteed way to pass the exam. The BABOK has over 500 pages of detailed into knowledge areas, and in-turn each knowledge area is divided into tasks, inputs, outputs, and techniques. It is always helpful to have a plan and tools for breaking the BABOK down into logical pieces for a better understanding and study. This Knowledge area focuses on identifying business opportunities through feasibility studies, creating business cases, cost/benefit analysis, etc. It covers looking at the big picture through building a Business Architecture Framework, in order to integrate requirements into it later. Plus, it can provide a context or foundation for evaluating the future projects, issues, and changes. This knowledge area deals with resources and tasks for planning and managing requirements activities throughout the “requirements process.” It identifies many activities and deliverables. It also covers planning how changes are controlled and managed, and begins the process of prioritizing requirements. Requirements must be elicited from stakeholders in order to be analyzed and documented. 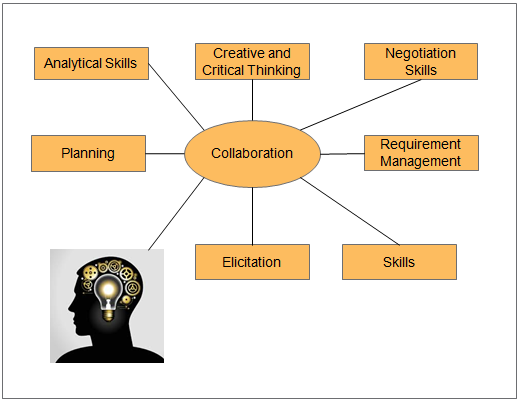 This knowledge area covers the process, tasks, and techniques for doing the elicitation. There are many techniques to be familiar with, such as brainstorming, interviewing, requirements workshops etc. It also describes the communication with stakeholders once the business analyst information is assembled, and the ongoing collaboration with them throughout the business analyst activities is completed? This knowledge area is considered be the “core” of what a Business Analyst does. Requirements Analysis and Design Definition deals with how stakeholder needs are analyzed, structured, and documented. The understanding is that the ultimate goal of business analyst is in designing and implementing a solution. This knowledge area covers the incremental and iterative activities ranging from the initial concept, exploration of the needs, and the transformation of those needs into a recommended solution. Once requirements have been approved, it needs to be implemented to be of value. 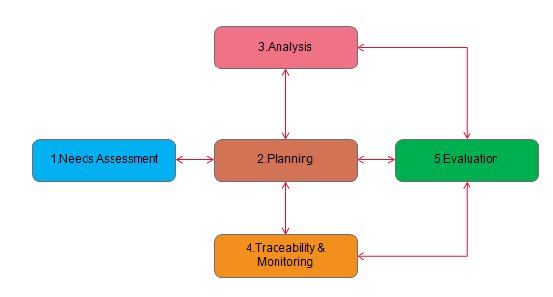 This knowledge area describes the tasks that business analysts perform to assess the performance and value delivered by a solution which is in use by the organization, and to recommend removal of any obstacles or constraints that might prevent the full realization of the value delivered. 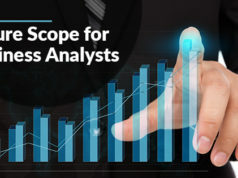 This knowledge area describes the tasks that business analysts perform to organize and coordinate the efforts of business analysts and stakeholders. These tasks produce outputs that are used as key inputs and guidelines for the other tasks throughout the BABOK guide. The PMI-PBA is exclusively made for business analyst who work on programs and projects, as well as the project and program managers who do business analysis as part of their day-to-day routines. According to the PMI, if you have this certification, you’ll be effectively qualified to be an integral stakeholder in small and large scale projects. The PMI PBA certification exam has 200 multiple-choice questions and you have four hours to complete it. PMI-PBA certification almost always guarantees more number of opportunities for your career progression. It also opens the doors to a wide range of opportunities. With a PMI-PBA certification behind your name, you can work in virtually any projects and programs and it also make you an expert who can demonstrate both the knowledge and competency in the business analysis domain. With this certification, you will become valuable to the organization that chooses to employ you. And recruiters will always want you to join their organizations. 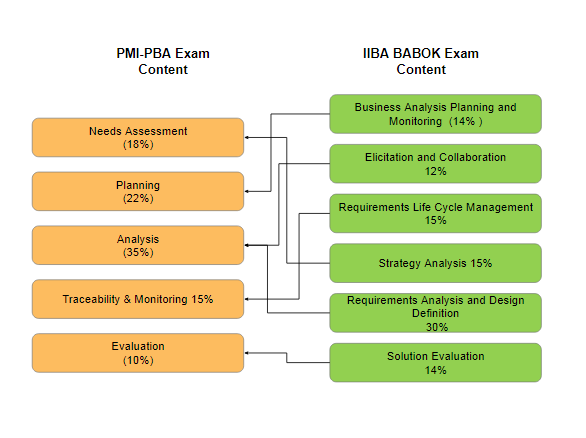 PMI-PBA organizes the work of business analysis into five domains. These domains represent areas of specific business analysis expertise that encompass several tasks. The above diagram shows a general relationship between the different domains. This domain includes identifying and articulating the purpose and goals of the project as well as identifying and understanding the project stakeholders. This also talks about activities that contribute to the development of the business case and subsequent charter for the project. This domain focuses both on the business analysis deliverables and activities as well as the processes used by the project team to support the business analysis work. This includes planning for requirements elicitation, management, and approval, as well as communications and version control. This domain includes the tasks which range from elicitation, analysis, decomposition, approval, specification, and validation of requirements. This domain includes the tasks concerned with managing requirements throughout the project as well as communicating requirements status to stakeholders. This domain includes the tasks as well as tools and techniques to evaluate how well the delivered solution meets the requirements and the business need. This evaluation includes artifacts that contribute to the solution development and obtaining stakeholder signoff that the solution is ready for deployment. The diagram below was created to understand which credential might be best suited for individuals based on their, role, experience, current certifications, and career objectives. “Required” indicates that this certification is best suited for the individuals based on their experience, while “Optional”” is a viable choice. PMI recognizes and appreciates that business analysis extends beyond projects and programs, they view “the scope of business analysis as performed in a project or program environment.” In other words, although business analysis extends beyond the project or program, it is the program or project that provides the base for business analysis to perform their functions. Therefore, the importance is on how PBA can provide support in delivering more successful project/program outcomes. For those individuals who mainly work on projects and programs, and for those who perform a dual role of Project Manager / Business Analyst, the Professional in Business Analysis (PMI PBA) is a good certification to have. Strategic, Enterprise BAs, subject matter experts and those BAs who are professional BAs not gain as considerably from the PMI-PBA certification. They may find value in the PMI-PBA certification but the IIBA designation will most likely be more meaningful to them. In the end, the BA fraternity can either try to overlook the new PMI initiative, or embrace it and see how the two competing certifications can co-exist. Eventually BAs need to understand and appreciate the PM role and vice versa. They need to collaborate and communicate, especially in the areas of greatest overlap such as scope management, communications management, stakeholder management etc. Collaboration and communication is the key to project, program, and organizational success. If you have any further queries, please do not hesitate to write us.